Needlepoint back stitch is useful when a design just needs a little more. 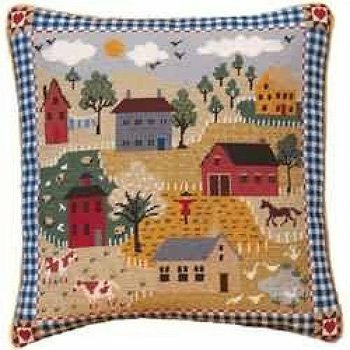 When stitching a very small needlepoint, or one where the colors are muted and the design does not stand out well, it can be enhanced by the quick and easy use of a needlepoint back stitch or other surface embroidery. 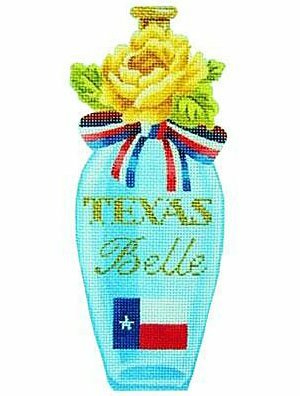 Surface embroidery stitches are worked on top of the needlepoint stitches and are helpful for adding fine detail or defining a curved line. What does a needlepoint back stitch look like? 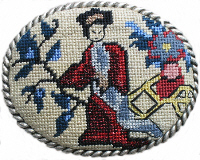 This brooch design looked undefined until the sirocco design was outlined in needlepoint backstitch. 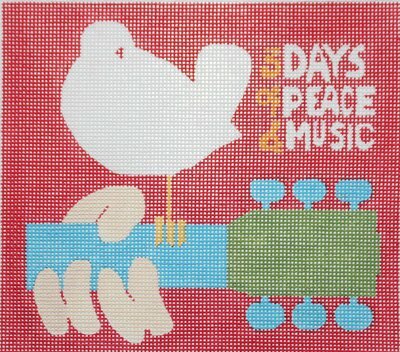 Similarly, with the Japanese merchant on this belt buckle design. 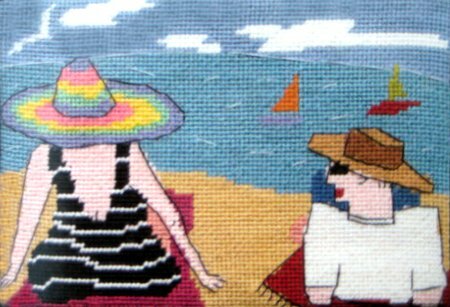 It is a detailed design in a very small area, but using a needlepoint back stitch to add the facial features and outline some of the curves improved the look. Jennifer Pudney uses this technique a lot with her needlepoint kits. Here's one where she has used a single strand of the 6-ply thread to outline the design in back stitch. You see the detail much better now. How do you do a needlepoint back stitch? It's easy. Split the yarn/thread you plan to use down to a single, or maybe a two ply. 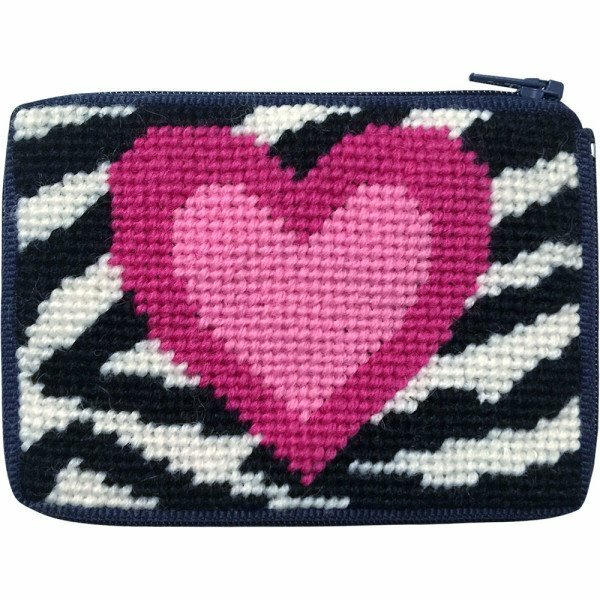 You then back stitch over the needlepoint stitches in order to outline them. Follow this diagram. The needle goes up through the canvas on the odd numbers and down on the even numbers. Let us know if you have any questions about using needlepoint back stitch to outline a design.